Mays Brown Solicitors is a London law firm specialising in shipping matters. We act for a wide range of clients across the shipping industry including owners, operators, charterers, P&I clubs, insurers, underwriters, banks and yards both in transactional matters and handling their disputes. We are committed to providing a flexible service designed to meet the specific needs of each individual client but always with the focus on giving prompt, clear, commercially minded and cost effective assistance. We offer an “all round”, 24 hour a day, 365 day a year proactive service – helping to prevent problems as well as solve them. Our team of lawyers has expertise in a wide range of shipping related matters. Of course we have substantial experience in handling shipping disputes in London arbitration, the English courts and mediation as well as taking and co-ordinating action worldwide to secure or enforce claims and to obtain/preserve evidence. We also provide assistance in many other areas such as drafting and negotiation of contracts (including vessel sale and purchase), dealing with S&P closings and escrow arrangements and providing pro-active input to seek to avoid disputes in the first place and minimise harm when problems do arise. Joe Mays has specialised as a shipping lawyer in England for over 25 years, dealing mainly with matters relating to charters, bills of lading, sale and purchase contracts, FFAs and supply of bunkers. He handles disputes in arbitration and the English courts (including success in the Court of Appeal in the “Jag Ravi” case) as well as mediations. He acts primarily for P&I Clubs, owners and operators. As per previous editions of Chambers UK Directory Joe has also been described as “highly respected in the industry” and having “a sensible, commercial approach to case management” and “deep knowledge and wide experience of shipping matters”. The Directory has also referred to his “extensive experience of the Indian market”. David has over 20 years’ experience in shipping dispute resolution and litigation arising from charterparties, bills of lading, MOAs, and bunker supply contracts involving court proceedings, arbitration proceedings and mediation. His clients include owners, charterers, P&I Clubs, and trading companies. He also acts for buyers and sellers of vessels in sale and purchase transactions. David is dual qualified being admitted in both England and South Africa and is a CEDR Accredited Mediator. Stephen studied law at the University of Wales and after travelling the world qualified as a solicitor in the shipping department of Norton Rose in 1993. Later that year Stephen joined the UK P&I and Defence Clubs where he spent six years handling P&I and FD&D claims primarily for the Club’s Greek and Turkish owner membership. In 1999 Stephen returned to private practice as a shipping lawyer handling contentious and non-contentious shipping matters before joining the Charterers P&I Club in 2004 where he spent four years handling P&I and FD&D claims for the Club’s worldwide charterer membership. In 2008 Stephen joined Mays Brown, becoming a partner in 2009. With over 15 years’ experience as a solicitor and senior claims handler Stephen has dealt with a vast array of disputes for owners and charterers and dealt with hundreds of day to day queries and operational problems. 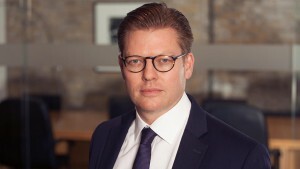 Stephen has particular expertise in dealing with disputes arising under charterparties and bills of lading and in the conduct of London arbitrations. Stephen acts for P&I Clubs and other P&I providers as well as owners, charterers, operators and traders worldwide. Stephen travels extensively and regularly presents papers on shipping related issues. Justin studied law in South Africa, requalifying as a solicitor in England. He has over 25 years’ experience with major London shipping firms, acting for owners, charterers and operators of vessels and their P&I and Defence Clubs and for major commodities houses and oil majors. He deals with all aspects of maritime litigation arising out of charterparties, bills of lading, contracts of affreightment and shipbuilding contracts. He has handled numerous complex, high value High Court cases, up to the Supreme Court and has been involved in most forms of arbitration including LMAA, LCIA and ICC. Justin joined Mays Brown as a director in 2017. Ryan Sheward is dual qualified, being admitted in both England and South Africa. 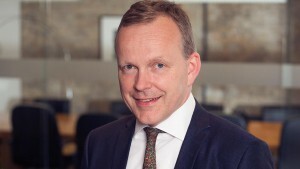 He joined Mays Brown in 2008 and has particularly strong connections to the Greek and Japanese markets. He has spent time on secondment working in Japan. He mainly acts on behalf of owners, charterers, traders and P&I Clubs with his main focus on charters and bills of lading. After completing a Master’s degree in English at the University of St Andrews, Hugo completed his professional legal studies in London. He subsequently worked in the litigation department of a private client law firm, before joining a boutique shipping law firm where he worked predominantly on cargo matters. He gained experience in live casualty situations and in bringing and defending both London Arbitration and High Court proceedings. 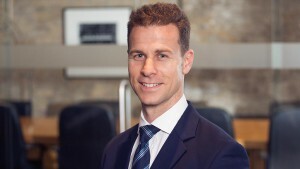 Hugo joined Mays Brown as an Associate in October 2017, where he assists primarily with charterparty and bill of lading disputes on behalf of owners, charterers and P&I Clubs. Sofia joined Mays Brown in October 2017. As an undergraduate, she read law at City, University of London, after which she completed the Legal Practice Course. Prior to joining Mays Brown, she spent 2 years working as a paralegal for a specialist shipping firm in London. Sofia is a native Greek speaker and is on the London Shipping Law Centre (LSLC) Young Maritime Professionals Committee. We are always looking to recruit good quality candidates. If you would like to join our team of lawyers you will need a strong academic record along with sound practical initiative. Applications in writing should be sent to David Wartski as below. No agencies please. Mays Brown Solicitors is the trading name of Mays Brown Limited, a limited liability company registered in England and Wales (with registered number 09104589) authorised and regulated by the Solicitors Regulation Authority with registration number 615313. The SRA rules can be accessed by visiting the SRA website at www.sra.org.uk.